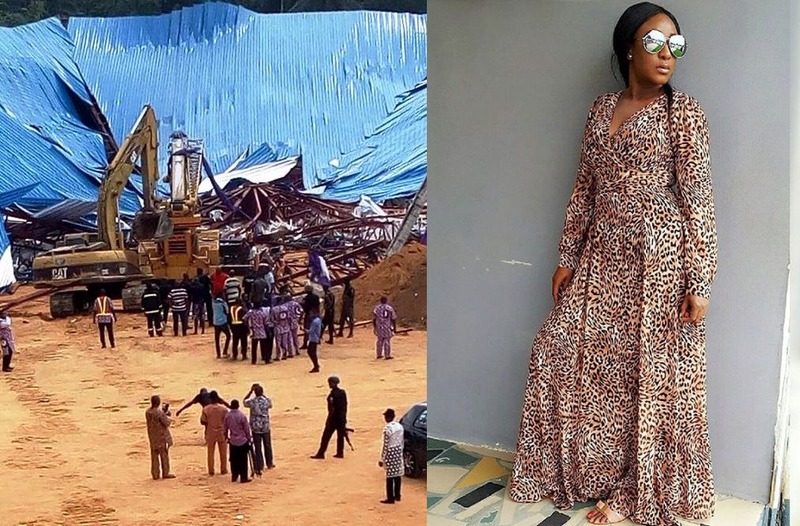 Nollywood Star Ini Edo has now revealed that she was scheduled to attend the thanksgiving service at Reigners Bible Church and was on her way when the tragedy occurred. 2 days ago,I was very bitter about the unreliable nature of some of our airlines cancelling flights without prior notice thereby hindering my plans to attend a church service ceremony held in uyo. Now out of determination, I took a flight to calabar with the hope of being in uyo just in time for the service since the journey between calabar and uyo was just about an hour. The journey ended up taking over 7hrs because of an unexplainable traffic.No accident, good road no hitches just a headlock traffic. 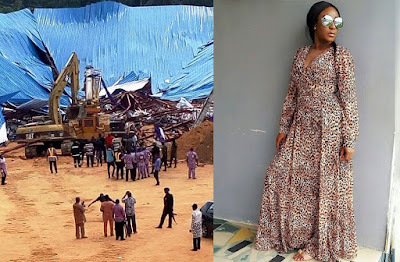 Whilst in the car, I started wondering why all my efforts to be at the service was being thwarted… then I got a call, that the entire church building had collapsed during the course of the service …. Once again, God had saved me..
My heart goes out to the families of the departed..may the good Lord grant them the heart to bear the loss. Everyday we see is a blessing..it’s not because we are special or better..It’s the exceeding Grace of our Lord Jesus. I am so humbled and grateful to God for preserving me… Happy thanksgiving…..